Ooh hasn't the end of the month come around quickly, it literally feels like yesterday I was writing my January favourites. I considered doing a February favourites post but to be honest this month I've been sticking to what I know and love beauty-wise so I haven't really used any different products, which means I wouldn't have anything to write about. 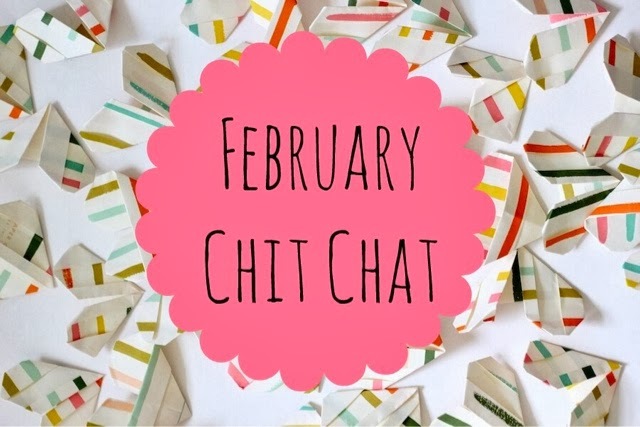 So today I just thought we could just have a little natter, as little posts where I ramble on about anything and everything seem to go down well with you lovely lot, so why not. The past month has been a tad on the exciting side for my little blog. I feel like I've had lots of blogging motivation so I've been able to produce higher-quality content for all you lovely people to read, which is always good. It's been the first full month that I've had my blogging planner to help me be the well organised blogger I should be (would you be interested in seeing a post where I share my blogging diary/planner with you?) and that's really helped me stay on track with my blogging schedule. My personal favourite posts of mine that have appeared on here over the past month have included my Vintage Haul and this months Beauty Wishlist so go have a little read if you haven't already. When it comes to the posts I have planned for next month, you're going to be seeing a bit more variety, as I'm fingers crossed going to be branching out a tad more into the exciting world of fashion blogging (expect a couple of OOTD style posts), and possibly lifestyle blogging too, if all goes to plan. I also have two lovely bloggers who are going to be writing guest posts for you all to enjoy. I'm also so so happy to announce that during March my little blog is going to be advertised on Lauryn's lovely blog. Lauryn writes one of my favourite blogs so I'm so happy to get the opportunity to share my blog with her readers. She's offering lots of fab advertising packages so if you're looking for a good blog to advertise on, go have a nosey. 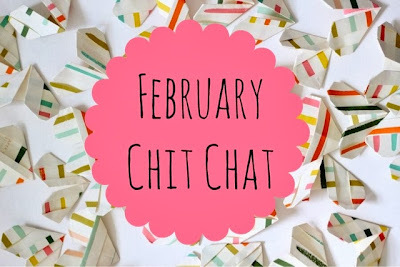 March is also going to be a month where I'm going to be focusing a fair amount of my attention on guest posts. I have a lovely variety of bloggers writing me posts for me to pop up on here, and I'm in talks with a couple of bloggers about me writing posts for their blogs, so keep your eyes peeled for my ramblings popping up on other spaces of the internet. If you're interested in writing a guest post for this blog, drop me a quick email (realityleaveslotstoimagination@yahoo.co.uk) and we can have a natter. School-wise, February has been a busy little month for me but I'm slightly sad to see it end, because for me it means I'm one month closer to May and the joy that is my GCSE exams. I literally have only 9 weeks left until my exams start and the pressure is really starting to kick in. My revision schedule has started but I'm actually feeling a lot more prepared and relaxed about everything than I thought I was going to be. Not sure I'll be able to say that in a few weeks or so, but for not I'm staying positive. I'm aiming to achieve A's and B's in all my subjects, and so far I'm on track to achieve those grades, so I've just got to keep up the good work, and hopefully I'll be happy when I recieve my results in August. Whilst all this revision is going on, I'm also preparing for next year. I've chosen to stay on at my school, and I've been given a conditional place - which is fab. If you remember back to my 'Let's Have A Little Catch-Up' post from a few weeks ago, I said I was considering changing my A Level Options. Initially, I had chosen English Lit, History, Sociology and Philosophy+Ethics but I was considering changing Sociology to Maths, and I'm happy to say that I went through with that plan. It's going to be a struggle but I'm excited to give it my best shot. 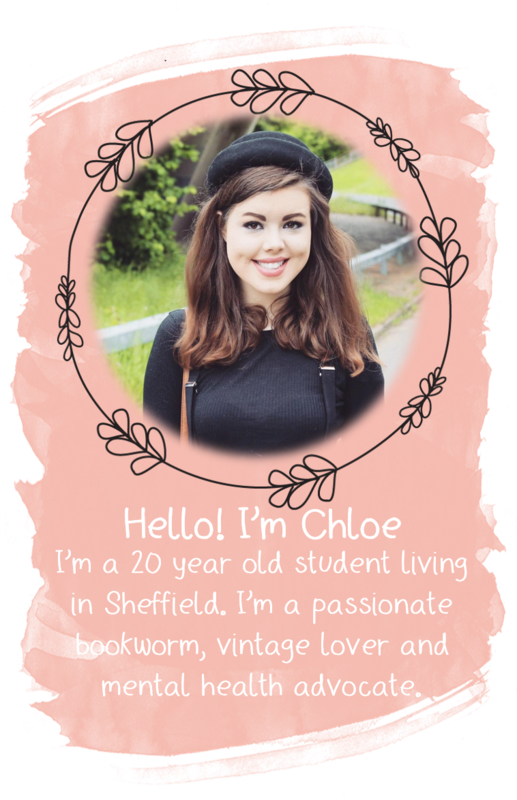 I have so many things just waiting for me to blog about in the next few weeks, so be prepared to see me appearing on your dashboard fairly reguarly! What have you all been up to over the last month, and what's to come for you in March?